Cobra Maintenance Service are leading Sydney and Wollongong Plumbers, Blocked Drain specialists, Hot water and Roof repairers. 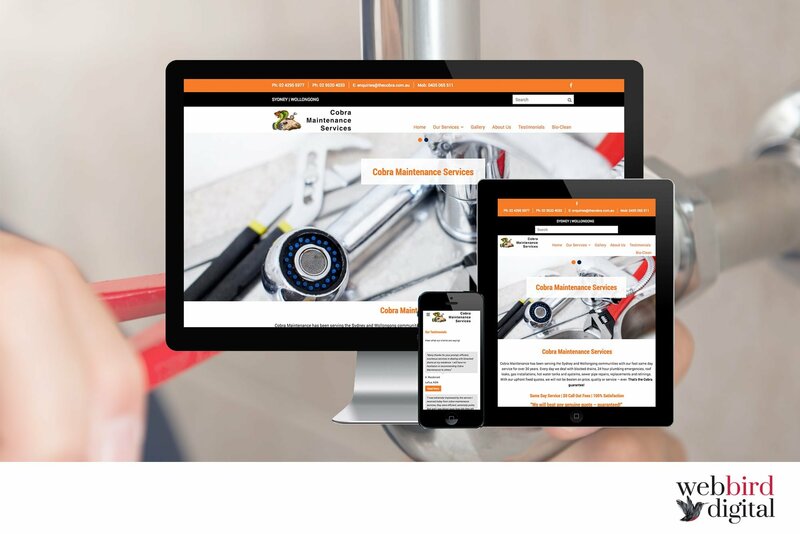 Cobra know that if they wanted to compete online they needed a Google-friendly website that has the power to adapt and evolve with their business needs. That’s why they contacted us at Web Bird Digital.